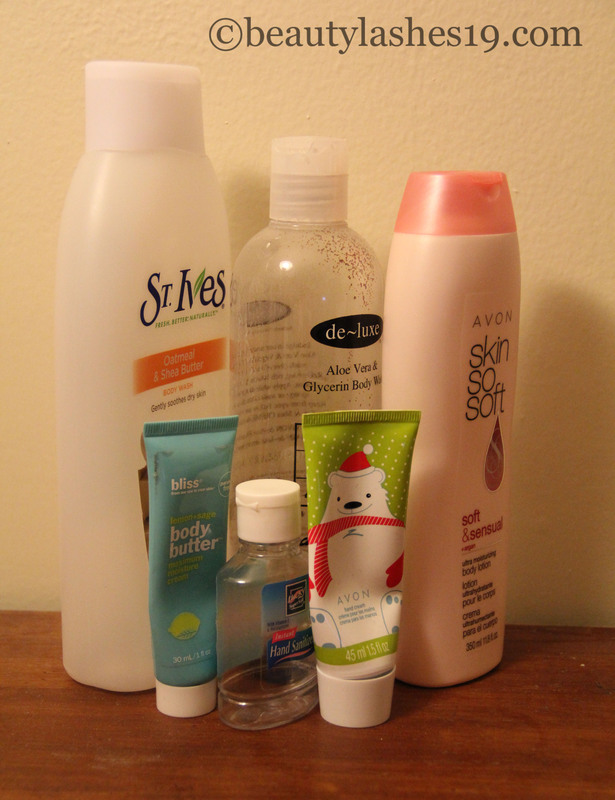 So, here’s presenting my empties for body and face products.. 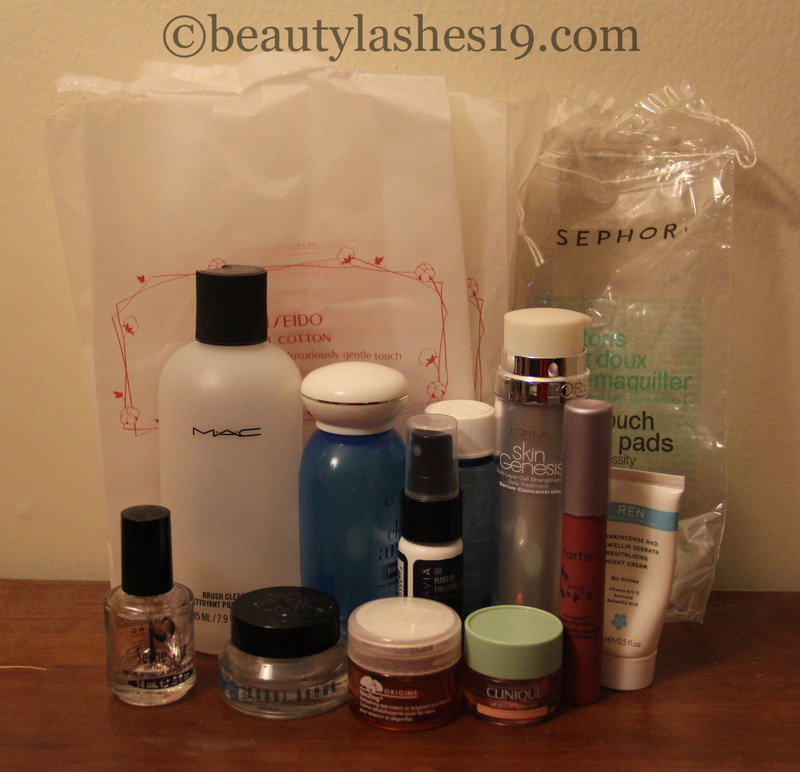 I have used up quite a few products and I am really happy about some of them and not so happy about some.. Let’s see which of these made it to my re-purchasing list.. Shall we? Of these, I plan to repurchase St Ives Oatmeal and Shea butter body wash and Avon soft and sensual body lotion some time in the future once I run out of all the lotions and body washes I own already! 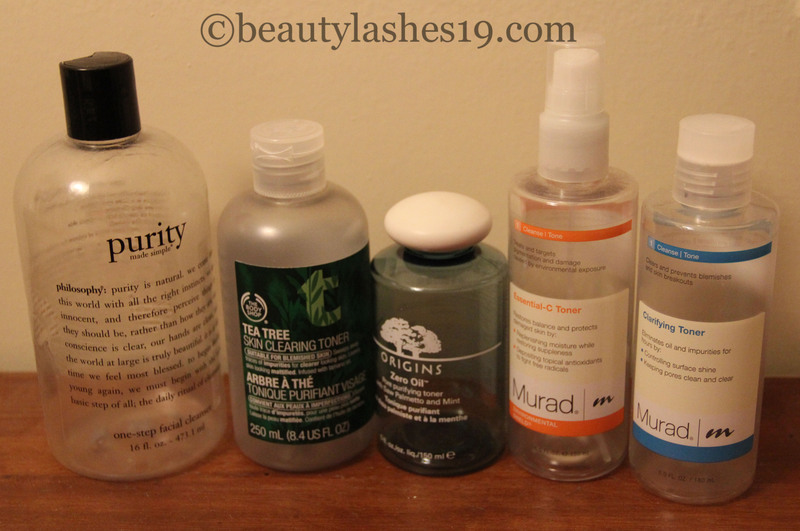 L to R: Purity by Philosophy, Body shop Tea tree toner, Origins Zero oil toner, Murad Essential C-toner & Murad Clarifying toner.. I have gone through many bottles of Purity by Philosophy and will continue to purchase it.. It’s a staple in my skincare.. The Body shop Tea tree toner & Origins Zero oil toner were ok.. nothing exceptional.. The ‘Zero oil’ toner kinda made certain areas of my face dry.. I will not be repurchasing these..
Murad toners are great! I use the Essential C-toner predominantly in the cooler months.. The mist is sooo refreshing.. The clarifying toner works well in warmer months.. I still have a few bottles of these to go through.. So, I’ll not need to purchase any toner for quite a while now.. The Loreal oil free eye makeup remover is quite gentle on my eyes and takes off most / all makeup off my face.. I used this before I switches to Bioderma! The Skindinavia No more shine setting spray is my favorite setting spray in Summer.. It is a must have for me.. The Lancome Bi-facil makeup remover was ok.. I used it on some days when I wore waterproof eye makeup and the Loreal eye makeup remover wouldn’t take it all off..
Seche Vite dry fast top coat just dried up!! I couldn’t get complete use out of it.. I am looking for a replacement for this one.. So, do let me know if you have a recommendation for a good fast drying top coat.. The Bobbi brown hydrating eye cream was quite good.. It worked well at hydrating the under eye area.. but I cannot justify the price.. Hence, I will not be repurchasing it.. Origins GinZing eye cream is fantastic! I love a multi-functional product and this is clearly one.. I love that it hydrates, takes care of dark circles and best of all, eliminates puffiness! It was a hit for me & I will be repurchasing this once I go through the many eye cream/samples I have..
Clinique all about eyes eye cream worked fine for hydrating under eye area but I did not notice any significant change in terms of dark circles & puffiness.. This product was a miss for me..